I love my little space, and although it is decorated in a primarily English cottage style, I also consider it eclectic. I love picking up things wherever I happen to see them and adding them into my decor. I usually have a rule that if I add something in then I have to remove something. There is only so much room in a 450 square foot apartment, but it is amazing what can be done. I am always looking for ideas for a cozy eclectic look, and thought I would share some of the bedrooms I have found with you. I love this look. 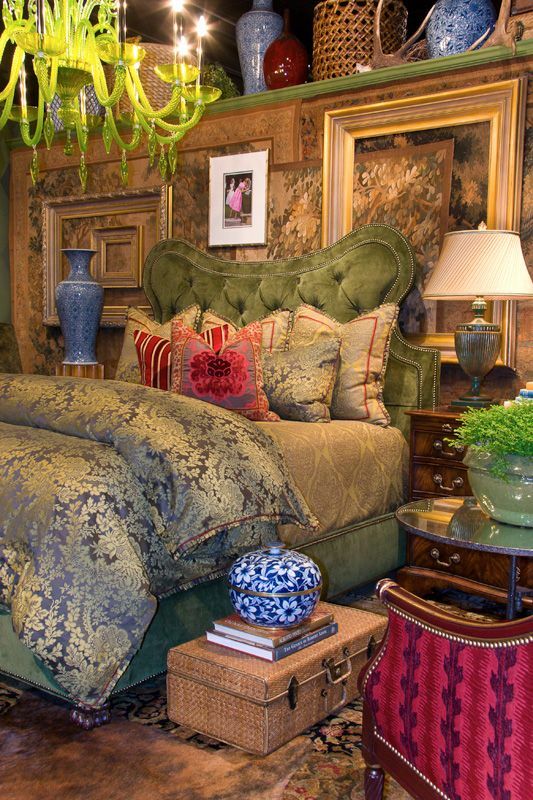 The owner of this bedroom has used a mix of elements to create this wonderful look. Cast iron, wicker, and painted wood all contribute to the style. 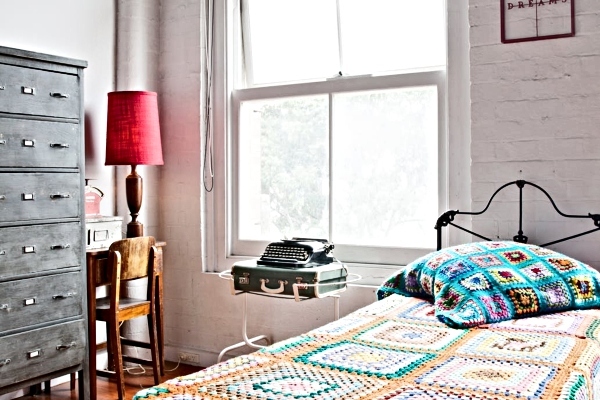 I really like the look of this cozy little bedroom in Melbourne. 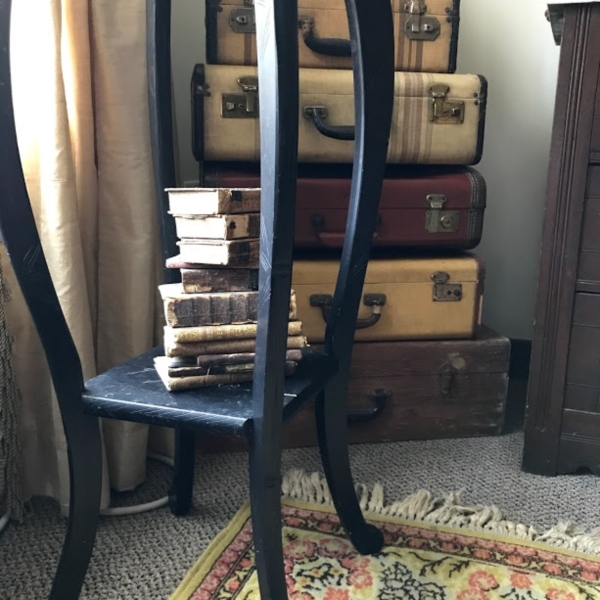 Old suitcases are one of my favorite decor items, and this one is wonderful. The pops of color against the white background make a great statement. Although this style is considered boho chic, I might call this eclectic luxe. Although it is too fussy for me, it is definitely eclectic and interesting. What do you think? I'm afraid I would get up in the night and break a leg. I love this. 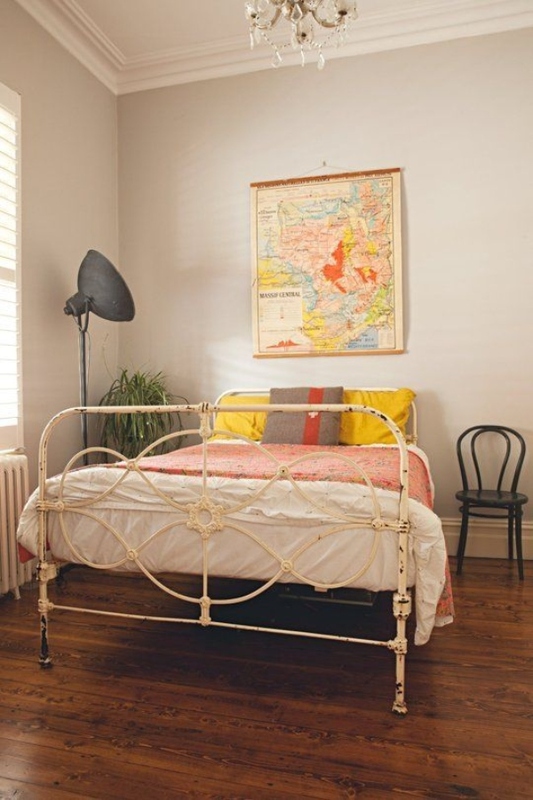 Of course since I have a white cast iron bed I feel a special affinity to this look. So many fabulous looks with eclectic style decorating, and the great thing about it is you can decorate on any budget. I have a bed skirt, which hides what I store under the bed, but I agree that baskets would be lovely. hi laura, i will have to pop over to your new shop. all summer I have been decluttering my already minimal house. the only thing still hanging over my head and left to tackle is my kids toys. hope you are doing well. Getting rid of the kids toys is hard. I don't have that problem anymore, but I know my daughter struggles with it. 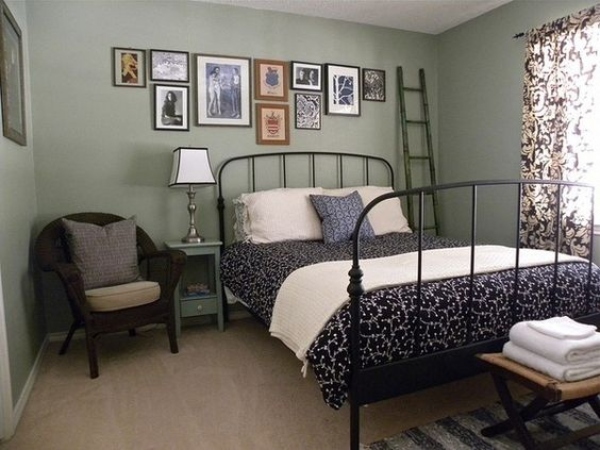 Love that iron bed in your inspiration pictures. Just beautiful. I too with living small now have the same rule. Bring in take away. Happy Thursday. Have a great rest of the week. I hope you have a great week too, Kris. I do the same as you and Kris. Something comes home something goes. I also only buy what I really love.